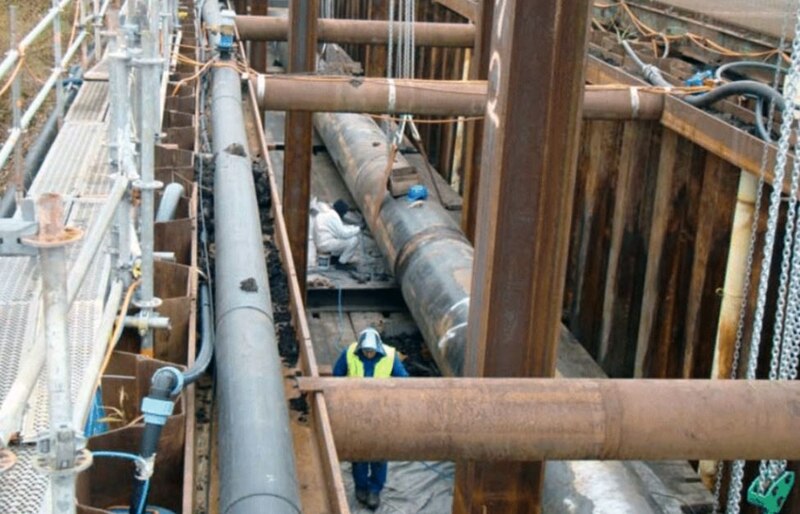 The Bristle Blaster ensured effective surface preparation in this pipeline renewal project in a nature protection area. 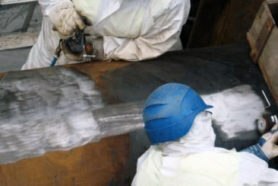 The hand held surface preparation tool removed rust, coatings and glue residue and effectively achieved the required surface roughness across 550 squared metres of pipeline. Throughout the Bristle Blasting stage, the pipe continued to operate, transporting gas in Germany. As well as being underground, the pipeline led through a bird sanctuary – an area under nature protection. The Bristle Blaster removed the rust and coating without the need for messy, obtrusive and noisy grit blasting. It was the only tool that could adequately prepare the underground pipeline’s surface. 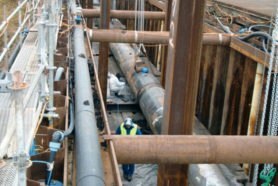 The Bristle Blaster ensured the 175m pipe’s surface was adequately prepared and ready to be applied with a Densolid Coating. 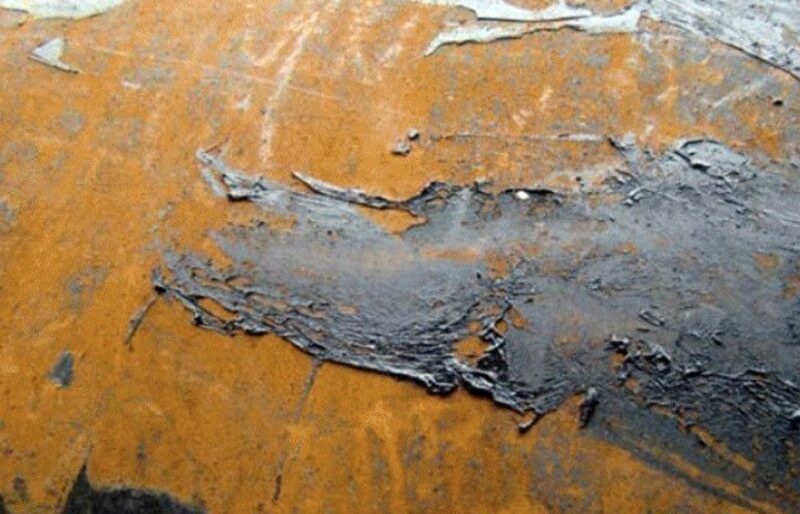 The old coating of a pipeline 175 metres in length had to be renewed. Before the new coating could be applied, this 35 year old pipeline, positioned several metres underground, had to have its surface adequately prepared. Grit blasting was struggling to remove the coating and grit has to be absorbed by a special vacum cleaning system - which wasn't ideal give the pipe led through a bird sanctuary. The Bristle Blaster is a flexible, hand-held surface preparation tool. It makes blasting easy in hard-to-reach areas and is an environmentally friendly solution. 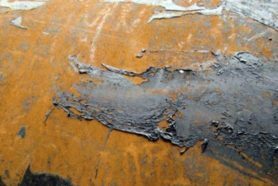 It's also ATEX approved for use in Zone 1 (potentially explosive applications), ensuring the pipeline could continue to transport gas as required. 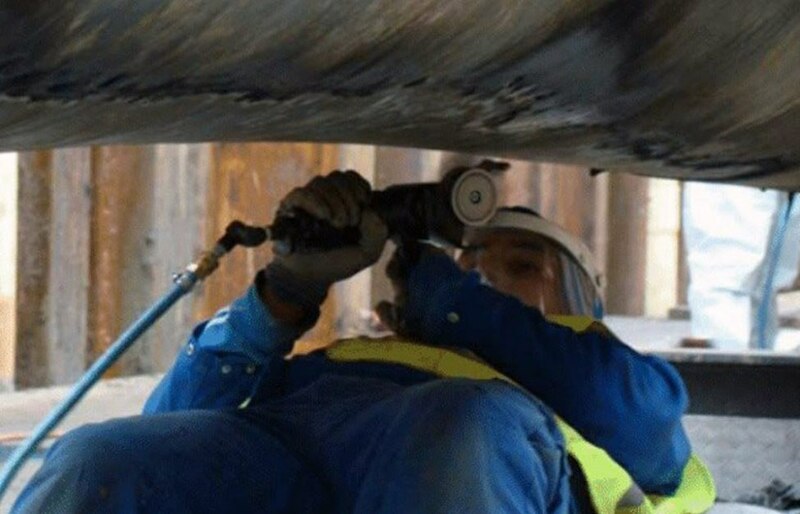 The Bristle Blaster easily and effectively removed the rust and coatings of the pipeline, covering a total area size of 550 square metres. Noise and mess was minimal when preparing the surface in the nature reserve. The old coating was succesfuly removed ahead of the new protective coating being applied.